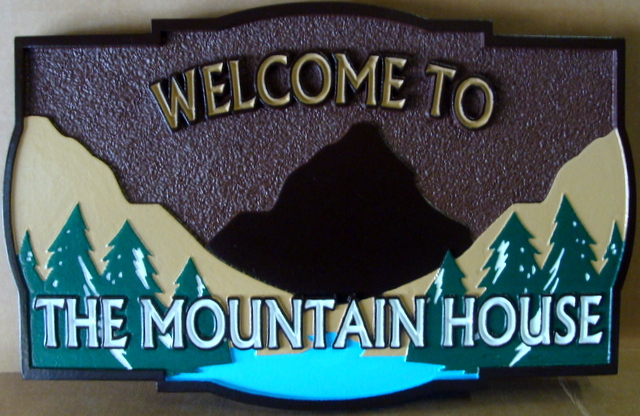 This "Welcome to the Mountain House" sign features both raised outline text, raised borders and a carved mountain scene with lake and trees carved in six levels of relief The dark sky background is sandblasted in a sandstone texture. The sign is clear-coated twice for additional UV and weather protection. This sign can be mounted between two posts, hung from a wood or iron hanger, or placed on a monument.